Like most kids, talking about fears can be a good way to let him know that it's not unusual to be scared, and that there is a solution. 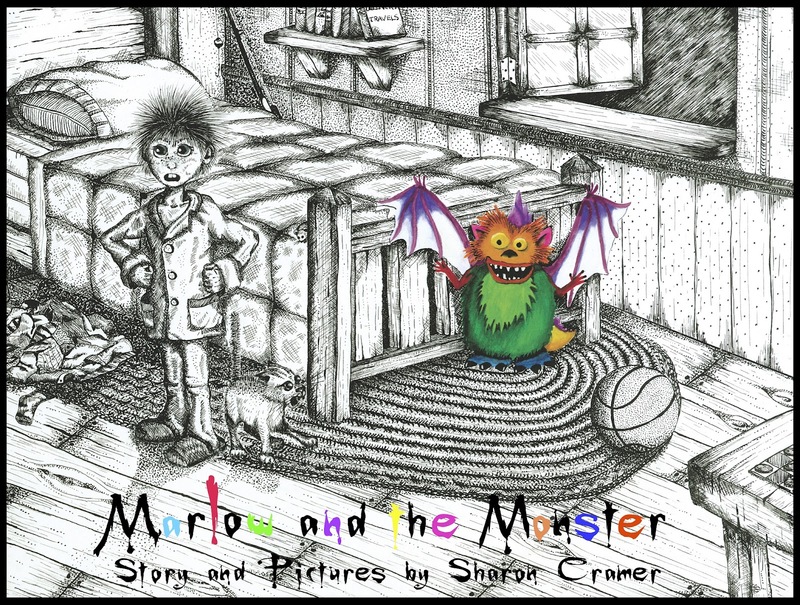 In the new book Marlow and the Monster by Sharon Cramer, a little boy, not unlike my own children, has a monster in his room. This monster, however, is more annoying than terrifying. Marlow looks for ways to ditch the monster as he tries to explain to his parents that it is a genuine problem. The book, which is marvelously illustrated, had an instant likability for my kids. The pictures are done in quill and ink -- the only part done in color was the monster. As the children read along, they giggled and pointed at the pages. This was a very fun read! When we bring our fears to light and discuss them with our loved ones, they no longer seem so scary. This book was a great introduction to the topic of nighttime fears, and the silliness made it a good time for all of us. Wanna Read It? 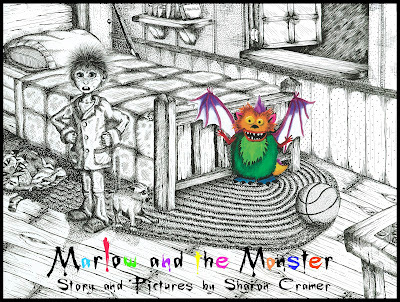 Marlow and the Monster is available for FREE for the Kindle from Amazon for a limited time only. Get it here! You can also buy the hard copy (recommended) for $14.95. Wanna Win? We are giving one lucky reader the chance to win this amazing book! To be entered for your own hardcover copy, just comment on this post with what your kids are scared of. You have until August 30th at 11:59 pm CST to get your entries in. One entry per person, and we will pick one winner at random from all eligible entries. This giveaway is open to U.S. residents ages 18+. See our full rules here.